Every year, corporations agonize over the perfect gift for their most valued clients, customers, connections and employees. Chocolate is a common choice but… what if the recipient is on a diet or – worse yet – allergic? Gift certificates are an option but… don’t they seem a bit like an afterthought? These questions – and others – rear their heads every year. And, every year, corporations devote unnecessary time to mulling over the various options. Well, this year, why not make your decision easy? Premium Christmas Wreaths offers an extensive line of thoughtful items – perfect for corporate gifts -- that are certain to leave an impression with the people that are valuable to your company. Fresh Christmas wreaths are sophisticated, tasteful gifts that are always appropriate for the season. Certain to appeal to everyone’s taste, they are a surefire way to impress clients and employees alike. Available in a wide range of cheerful designs, they are a thoughtful option that will keep your company in the recipient’s thoughts all season long. Furthermore, no other company guarantees the most vibrant, fresh Christmas wreaths delivered on time, every time. 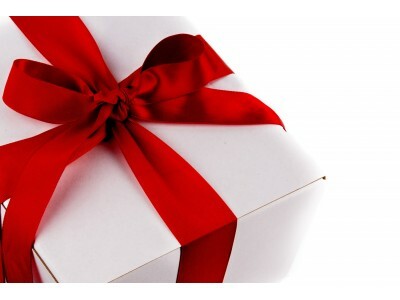 Don’t settle for a generic, common Christmas gift for your corporate clients. Don’t fall into the same humdrum pattern! This year, plan to go the extra mile. Plan to really wow the people that are valuable to your company by gifting them with a truly unique, memorable present: a fresh Christmas wreath! At Premium Christmas Wreaths, we aim to spice up the gifting season. Our goal is to provide our clients with a way to break out of the monotony of chocolates, gift certificates and other unexciting gift options. With an unparalleled selection of stunning, handmade Christmas wreaths, your corporate gifts no longer have to feel like a compromise. If you’d like to start planning your corporate gifts now, hop on over to our shop and start making your list!